When you walk through the streets of Ferrara, even for the very first time, you already pay attention to the deep presence of Ariosto, especially this year with all the celebrations concerning the 500 years of the first edition of Orlando Furioso. The first thing that you see when you arrive is this huge and magnificent Castello Estense, castle of the patron family who ordered the Orlando Furioso from Ariosto. Moreover, everything reminds of him and his characters. You can walked in Ariosto's street, visit him in his own house, do some sports in Marphisa tennis club, even a high school is carrying his name! In fact, it is quite logical for a huge exhibition to take place in this so ariostean city! The exhibition in the palazzo dei Diamanti tries to contextualize the Orlando Furioso. 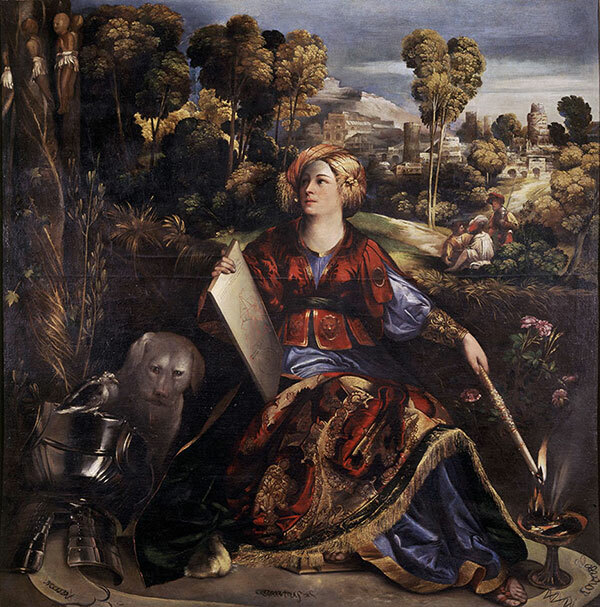 Rather than showing great artworks inspired by Ariosto's text (like the Melissa by Dosso Dossi), the exhibition is kind of a reconstitution of Ariosto imagination through artworks which potentially inspired him. 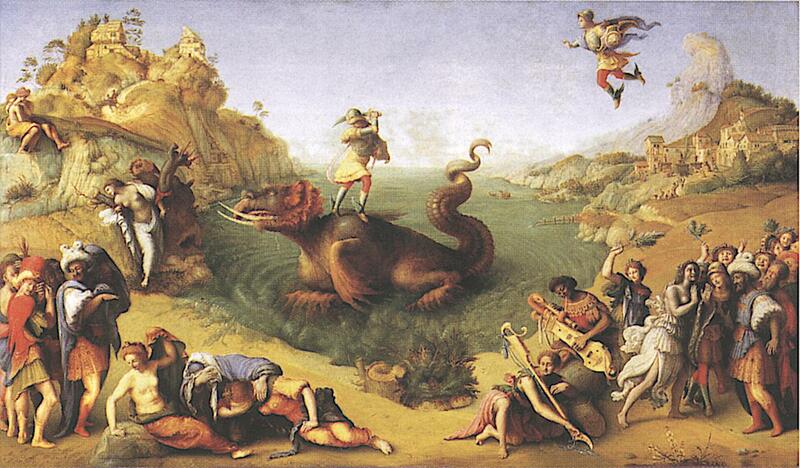 You will see for example, the famous painting of Piero di Cosimo (La liberazione di Andromeda, 1510, Firenze, Galleria degli uffizi) which reminds a lot of the episode in canto X when Ruggiero saves Angelica from a sea monster. 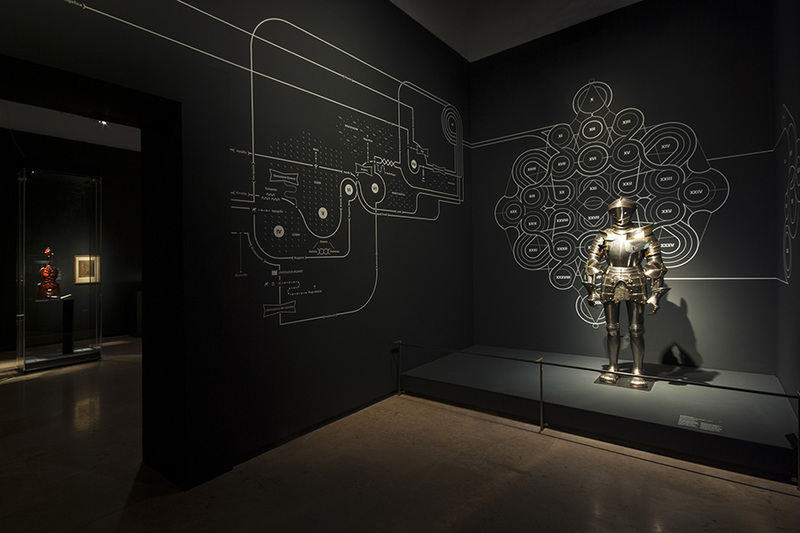 The exhibition also show objects linked to the everyday life of the Este court, like luxurious maps of the known World (Carta del Cantino, 1501-1502), portrait of courtiers but also objects connected with war such as swords or a sumptuous saddle horse. Finally a large space has been given to books, with the first edition of the Furioso and a manuscript written by Ariosto himself, but also to Classics from medieval literature (Luigi Pulci, Morgante Maggiore) and books linked with some topics of the exhibition such as madness (Sebastian Brant, Das Narrenchiffis). This diversity shows a deep work on Ariosto's masterpiece. If we take the example of the maps exhibit (you can see several in the Palazzo: the Carta del Cantino and the maps in the Cosmographia by Claudio Tolomeo), more than showing the level of geographic knowledge of this period, it also reveals the actual research and debate around geography in Orlando Furioso. In fact, some researcher like Alice Spinelli compares the text of the Orlando Furioso with the mappae mundi that Ariosto potentially consulted at the court of the Este to see the level of influence of geographic knowledge on Ariosto's work. All this shows an important critical work made by specialist, but moreover the purpose of the exhibition is really to give life to the artworks and to the text of Ariosto. For this reason, the exhibition is built like a journey into Ariosto' s world. Your expedition will begin in the external court of the palace, where you can hear a voice reading some of the most well-known episodes of the book. Then, you will enter the first part of the exhibition, largely dedicated to inspirations and sources of the book such as chivalry, and also to the contextualization of the author and his work, with rooms dedicated to courtly life and literary life in Ferrara. Later, the visitor will explore different themes taken from the Orlando Furioso such as marvelous worlds and monsters or madness. The last two rooms are dedicated to Ariosto's legacy, his influence on his time and beyond. When she presented the exhibition in Toulouse last March (colloquium: Le Roland Furieux de 1516 entre rupture et continuité, Toulouse, 17-19 mars 2016, Université de Toulouse-Jean Jaurès) Alessandra Villa explained that the aim was to give life to the text of Orlando Furioso. This is why in each room you can see an extract written on the wall linked with the theme. The mythic olifant of Roland (Toulouse, musée Paul Dupuy) echoes the magical horn used by Astolfo. Therefore, the exhibition allow a dialogue between Ariosto and the Arts. 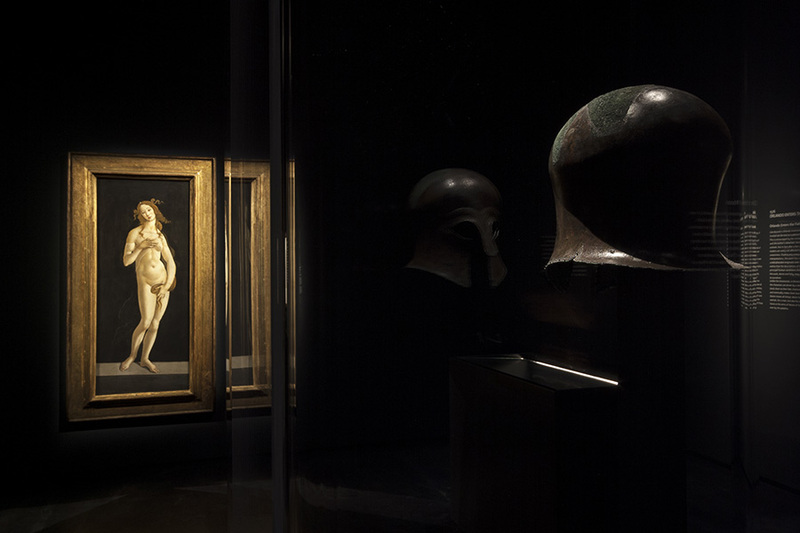 This interesting mix between famous artwork, objects, rare books and Orlando Furioso's text creates a particular atmosphere in each room, thanks to an original and sometimes poetic scenography like a warrior helmet contemplating a naked Venus painted by Botticelli. In many ways, the exhibition will bring you a more vivid and rich vision of the ariostean world. My favorite room was situated at the very beginning of the exhibition, reproducing on its wall a huge graphics summarizing all the movements of the main characters during the first ten cantos. It is imagined by Cristina Montagnani, a literature professor of the University of Ferrara, with the helped of Fludd studio (http://www.studiofludd.com/). A modern way to introduce the new generation to the story of Orlando. Rather than reconstituting Ariosto's world, the quality of the exhibition is to appeal to both scholars and neophytes. The specialist will enjoy the collection of rare books and finest work of art from the Renaissance. On the other hands, curious people will have the chance to discover a new world filled with women in armor, mysterious magicians and monsters. First planned from the 24th of September 2016 to the 8th of January 2017, the exhibition is such a success that it will be extend until the 29th of January 2017, so you still have time to wish Orlando a happy birthday!